PNagleLaw...Thoughts - Law Offices of Patricia L. Nagle, P.C. Law Offices of Patricia L. Nagle, P.C. I Don’t Think My Mom Had a Will. Now What? First, do a diligent search for a will. Look through Mom’s records and see if Mom had an accountant, financial advisor, or an attorney she worked with in the past and reach out to them and ask if they are aware of her having a will or not. Look for business cards of accountants, financial advisors and attorneys in Mom’s home and call and ask them as well. Ask Mom’s siblings and friends. You may not have been told about a will, but Mom may have made an appointment without your knowledge. Check the safe or for a fire-proof box Mom may have had at home. Contact the bank(s) where Mom had her checking and savings accounts – she may have had a Safe Deposit Box. If you do find Mom’s will, it does not matter how old it is. If the will was never revoked, then that is the will that gets probated. If Mom had a will, her estate is “testate”. If Mom did not have a will, her estate is “intestate”. Next, gather a list of Mom’s assets. Financial statements are particularly useful for a few reasons: First, you can see where Mom had her financial assets. 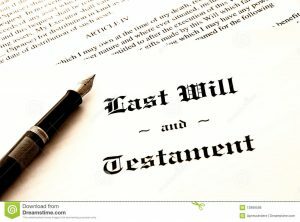 Second, you will need to know the value of those assets as of her date of death for purposes of probate. And third, these statements may indicate how Mom owned the assets. If an asset was owned jointly with another person, then most likely that asset will pass to the surviving joint owner and that asset will not need to be probated. If the asset was not owned jointly with another person, it needs to be determined who the beneficiary(ies) of that asset is. If there are beneficiaries that survived Mom, then those assets will be paid to those beneficiaries and again, that asset will avoid probate. If, however, there is no named beneficiary(ies) to the asset, then the asset will need to go through probate in order to be properly distributed. Tax returns are useful as well – they can tell who did Mom’s tax returns and shed light on other assets Mom had that you may not have been aware of. Make an appointment with a Probate attorney. If Mom did have a will, keep in mind that you do not have to use the same attorney that did her will. Ask friends, family and people you trust for recommendations. When you meet with the attorney, you should feel comfortable with him or her as he or she will be advising you throughout the probate process if you decide to hire him or her. When you meet with the Probate attorney, the attorney will want to review the information you have gathered and is likely to ask questions. The attorney is looking to determine if one, probate of Mom’s estate is necessary, and two, which type of probate is best for the situation at hand. (Massachusetts has three types of Probate: Voluntary, Informal and Formal. Do not be afraid to ask the attorney what his or her estimated costs and fees are. The attorney will need to send you an engagement letter – that you will need to sign – outlining the services to be provided, costs and fees associated therewith, and payment structure prior to doing any work on probating the estate. Some attorneys charge an hourly rate while others charge a flat fee. Be aware, however, that there tends to be considerable out-of-pocket costs such as court filing fees, newspaper publication fees, certified mail and other delivery service fees, and registry of deeds filing fees. Everyone has an Estate Plan even if they haven’t done a Last Will & Testament. It’s the most basic plan out there and it is called “the laws of intestacy”. Depending on what state you are domiciled in at the time of your death, that state’s laws of intestacy will dictate who gets your property and possessions when you die. Generally speaking, this refers to property that is not owned jointly with another person, is in your sole name, and does not have a beneficiary designation. So, what is “domicile”? Domicile is your fixed, permanent and legal residence. For those who spend time in more than one state, it is the state where you have your driver’s license from; where you vote, where you file your tax returns, and where you intend to return to. “Estate Planning” is the act of preparing for the transfer of one’s assets after his or her death as well as preparing for the management of those assets if he/she becomes incapacitated and cannot act for him or herself. Will. A Will disposes of your property after you die through the court process known as “probate”. A Will allows you to designate the person(s) you want to manage this process, names who is to receive your assets, and can name a guardian for your minor children. Without a valid Will in place, state intestacy laws will dictate how your assets are to be divvied up between your spouse and your blood relatives. Power of Attorney. A Power of Attorney allows you to designate someone to manage your financial affairs and your property in the event you are unable to make decisions for yourself. A Power of Attorney also lets you name your guardian in the event you need a guardian. Health Care Proxy. A Health Care Proxy allows you to designate an agent to make healthcare decisions if you are unable to make them yourself. In Rhode Island, these are called “Power of Attorney for Health Care”. HIPAA Authorization. The Health Insurance Portability and Accountability Act (HIPAA) is federal legislation that provides data privacy and security provisions for safeguarding medical information. As such, it is important to designate someone whom you trust to access your protected health information, especially if he or she is making decisions regarding your medical care. HIPAA Authorizations are often times included within the language of a Health Care Proxy. Living Will. 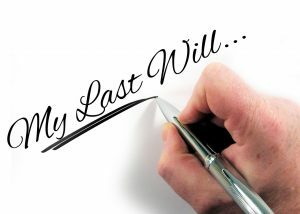 A Living Will allows you to list medical treatments that you would or would not want if you become terminally ill and unable to make your own decisions. Although Massachusetts is one of the few states that do not recognize Living Wills, Living Wills can still be useful because is can guide Health Care Agents and attending physicians about the types of choices you would make. Providing protections from beneficiary’s divorce, creditors and mismanagement. In summary, Estate Planning allows you to decide what you want in advance in the event something unexpected or expected happens to you. 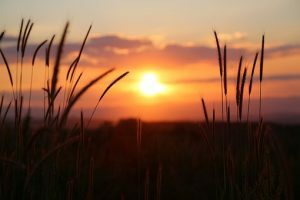 As a rule of thumb, always review your Estate Plan (wills, powers of attorney, health care proxy and HIPAA authorization, guardianship of minors, trusts) every five years or whenever you have a significant life event happen such as death of a spouse, divorce, marriage, beneficiary with special needs or addiction issues, accumulation of income, or inheritance. 1 – Change in Marital Status. Whether widowed, divorced or newly married, take a look at who your named beneficiaries, health care agents, attorney-in-fact, and successor trustees are. 2 – Trust Funding. You may have set up a trust to avoid probate. But did you actually fund the trust? 3 – Beneficiary Designations. I am constantly asking my clients about beneficiary designations on their bank accounts, IRAs, 401(k)s, TSPs, investment accounts and life insurance policies. Why? The reason is two-fold: First, you may have set up beneficiary designations that are no longer relevant. For example, in trust for a minor child who is now a financially responsible adult. And second, it is extremely important to not only name “primary” beneficiaries, but to name “contingent” beneficiaries as well. 4 – Your children are no longer minors. Parents often want to change their Estate Plan documents to name their adult child(ren) to be successor healthcare or financial agents or trustees instead of the persons they named when their children were minors. 5 – Purchased a second or vacation home. Clients may want to consider putting their vacation home in a trust or rental property in an LLC. 6 – Moved to a new state. Clients may want to ensure that their estate planning documents comply with the laws of their new state. They may just need to retitle their home into their trust. Clients should also be aware of their new state’s estate tax laws and whether or not their current estate plan is effective from an estate/inheritance/gift tax perspective. 7 – Acquired or Started a Business. Clients should think about what they want to happen to their business if they still own it when they die. Have your child(ren) continue the business? Sell the business? Or if you’re in business with others, is there a buy/sell agreement in place? 8 – Change in Financial Status. Whether the change is good or bad, clients should consider whether their current Estate Plan fits their new circumstances. Disqualifying a special needs beneficiary from receiving governmental benefits. Adverse income and/or estate tax consequences. Disinheriting beneficiaries or including unintended beneficiaries. Increased time, costs and fees associated with settling an estate (i.e., probate). Creating probate battles between beneficiaries and other loved ones. For those of you that have a young adult headed off to college… Do you have the necessary documents in place in the event your college student has a medical emergency or needs help with his or her finances? I know of a situation where the college student went away to college to a remote mid-west state. He fell ill and ended up in the hospital. His mom and dad were not able to get any information from the hospital or the doctors as to his health because he had never executed the appropriate document to give his mom or dad access to his personal health information. Don’t let this happen to you! Some tidbits from Kiplinger’s about things that need to be done with a loved one passes away. Note that it is not an all-inclusive list, just some thoughts on a few items! 1 – Not naming contingent beneficiaries on your retirement accounts and life insurance policies. 2 – “Selling” Property for $1.00. 3 – Naming specific investments in your will. 4 – Not thinking through a well-intended gift. 5 – Leaving assets directly to a minor and not being clear as to how the assets are to be used. 6 – Not planning for the death of a beneficiary. 7 – Ownership mistakes and imbalances of husband/wife assets. 8 – Not having a residuary clause. 9 – Not planning for the unexpected. 10 – Not dealing with your own immortality. Click on the link to read the specifics. Estate Planning: Don’t Forget to Track Your Accounts and Passwords! I’m not sure about others, but in many cases I no longer get paper statements whether it be for bills, insurance, investment accounts, etc. So if something happens to me, how will my family know what assets I have? In this digital day and age, it’s important that we leave “breadcrumbs” for our family to locate these assets. As the attached article states, put all of this information in a single place and make it an annual ritual to update your list. 1 – Death causes siblings/heirs to fight with each other. 2 – Mom or Dad remarries. New husband or wife gets most everything. 3 – Life Partner gets no legal rights. 4 – Life Insurance ends up in the wrong hands. 5 – Heirs are left trying to find all of the deceased’s assets. 6 – Partner owes enormous taxes on property. 7 – Court filings and Probate process in general can be time consuming and expensive. Don’t let this happen to you or your loved ones! “Nonparents”. Love this term! Many of us are very fortunate to have people who are near and dear to our hearts that nurtured or influenced us. For those who are nonparents, estate planning can be more difficult: Who will be your guardian if you become incapacitated? Will there be anyone to take care of you? Who do you trust to take care of your finances? Who will you leave your possessions to? This quick article is a different perspective – leaving a legacy to everyone’s children. The information contained on this website is solely intended to provide general information and is not intended to be legal advice. Visiting and/or using this website, or sending emails to Law Offices of Patricia L. Nagle, P.C. does not constitute nor create any type of attorney/client relationship. Further, please do not send personal information via unsecure e-mail.